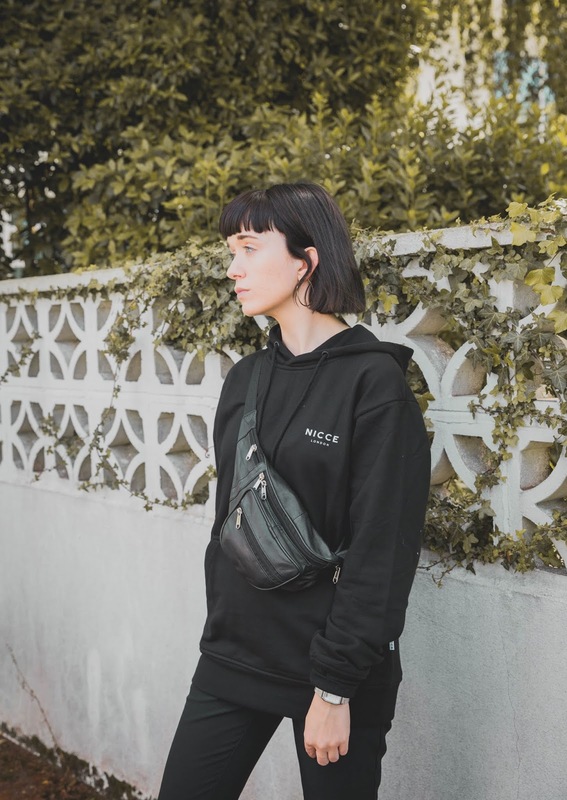 The staple hoodie has been my ultimate go-to piece for comfort and casual wear for as long as I can remember. You can quite often see me in one paired with a pair of simple jogging bottoms, as they are perfect for chilling around the house and doing errands. But when it comes to everyday wear I often prefer to style the piece with a more refined approach. 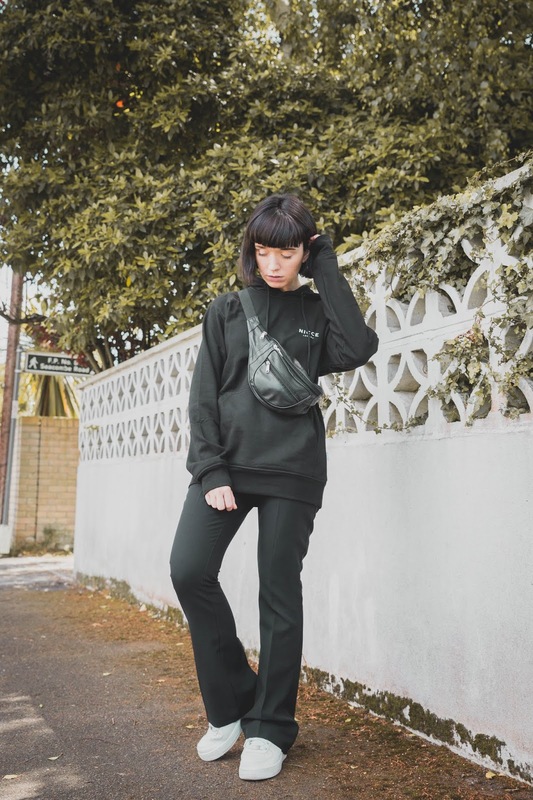 Whether that is mixing the sporty vibe with a slightly more tailored feel, like today or layering over a skirt or dress for a still casual yet ‘girlie’ look. 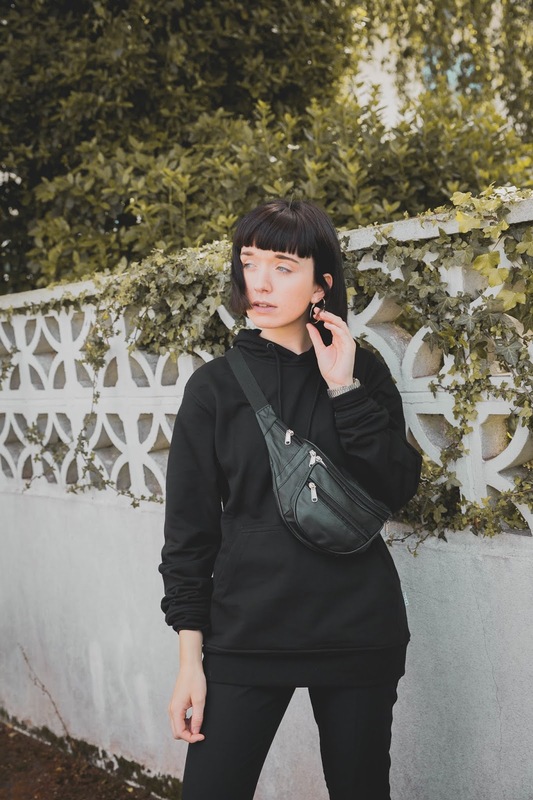 Like I mentioned, I have decided to go towards the more tailored approach for styling todays outfit, as I’ve spoken about my recent love of styling more cleaner silhouettes and styles in the past and thought this would be the perfect piece to do so. 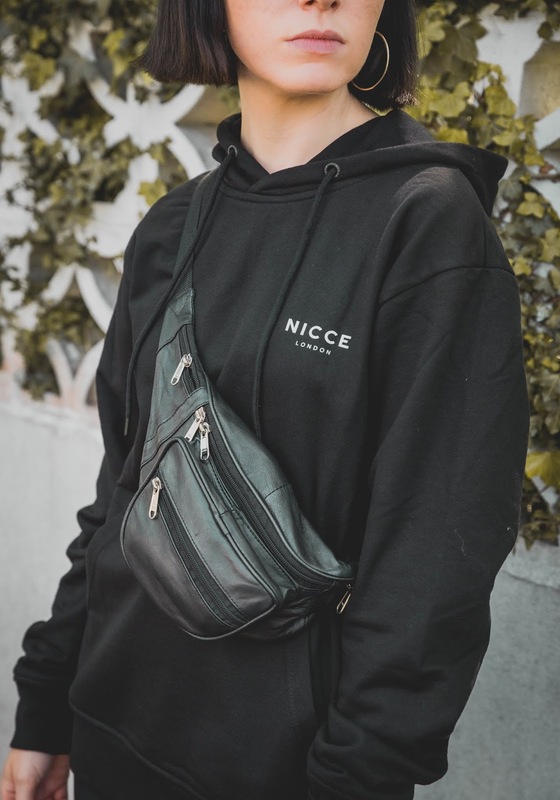 With this in mind I decided to pair my NICCE hoodie with a pair of fitted flared trousers and then playing on the sporty vibe with the addition of the bum bag and Nike AF-1’s, as my key accessories. 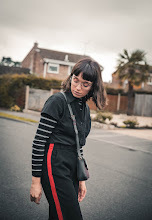 I can quickly see becoming a wardrobe staple that will see me through the cooler months, and I can’t wait to start layering it with roll-necks and tailored jackets come autumn. 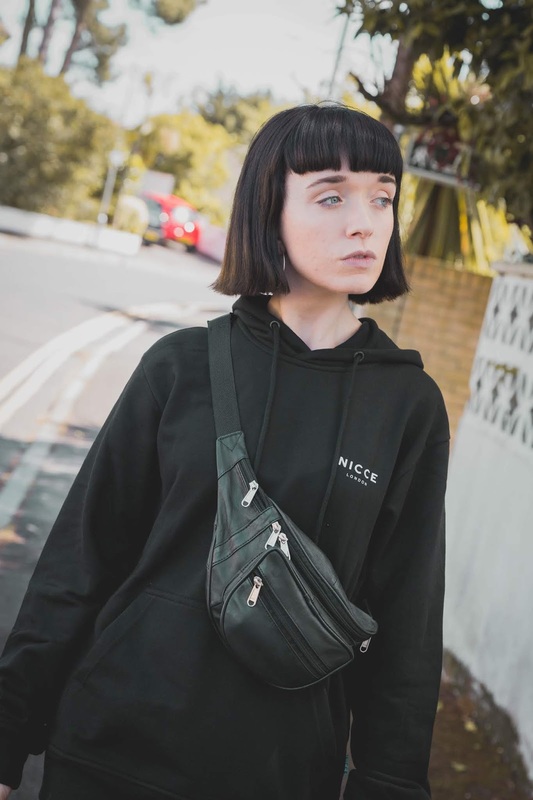 As well as an awesome array of hoodies and sweatshirts NICCE also offer a wide range of tops, bottoms, swimwear, dresses, underwear and coats/jackets that embody the streetwear brands’ aesthetic perfectly by fusing the latest casual-wear and street-wear trends, at an affordable price point. In collaboration with NICCE Clothing, all opinions my own.